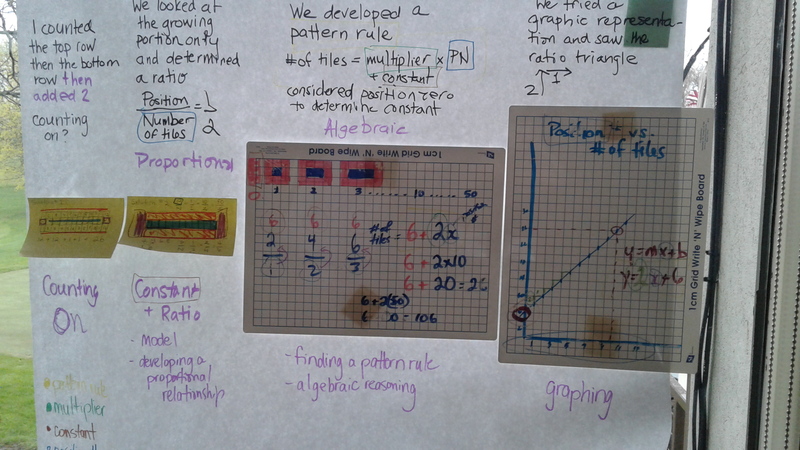 The Mathematics Leadership Community of Practice (ML CoP) has been busy! We are happy to share the following updates about meetings, conferences, events, and more. ML CoP members attended the OAME conference in Kingston May 11-13 and many presented. 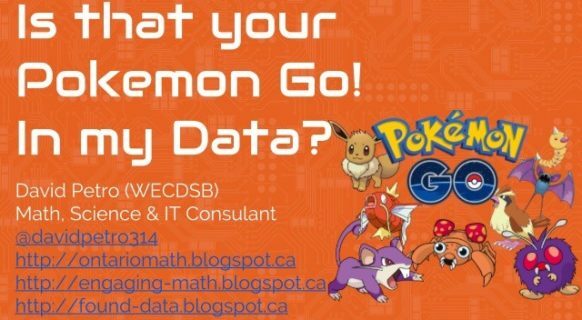 David Petro (WECDSB; SWOAME; starting from Sept 2017, President Elect of OAME) did three presentations, namely: Meaningful Use of Technology (with Crystal Gascho, a teacher from AMDSB), Is that your Pokemon Go! 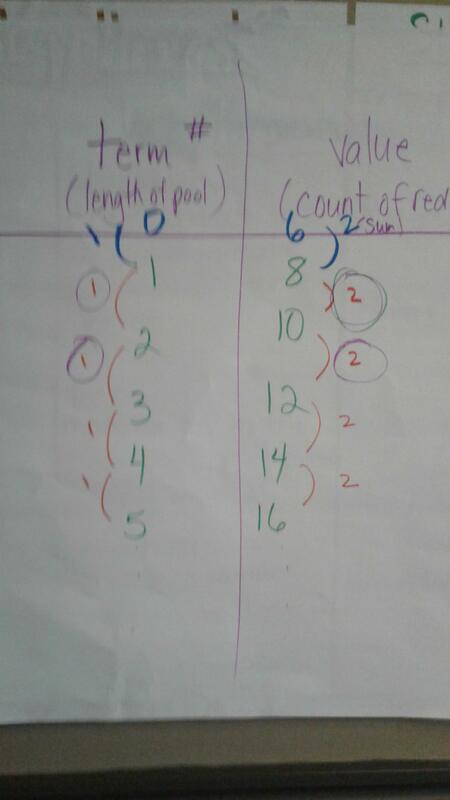 in my Data?, and Letting Students Think in Grade 9 Math (with Gisele Jobin, a teacher from WECDSB). 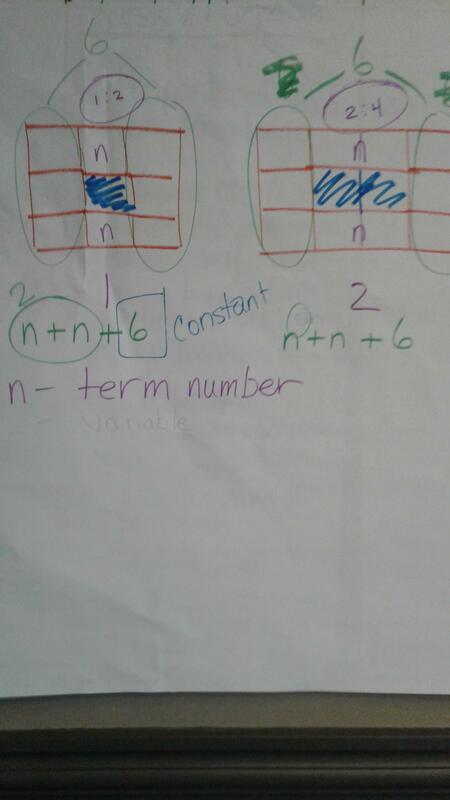 Here are the first slides and one image from the Letting Students Think in Grade 9 Math presentation. 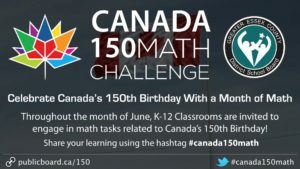 See how two school boards in Windsor celebrate Canada’s 150th birthday through mathematics! [Received from David Petro and Kyle Pearce (SWOAME members)]. 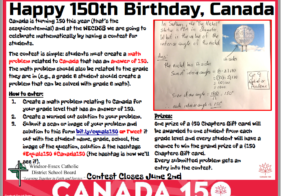 The WECDSB was recently in the last days of their Canada150 activity. 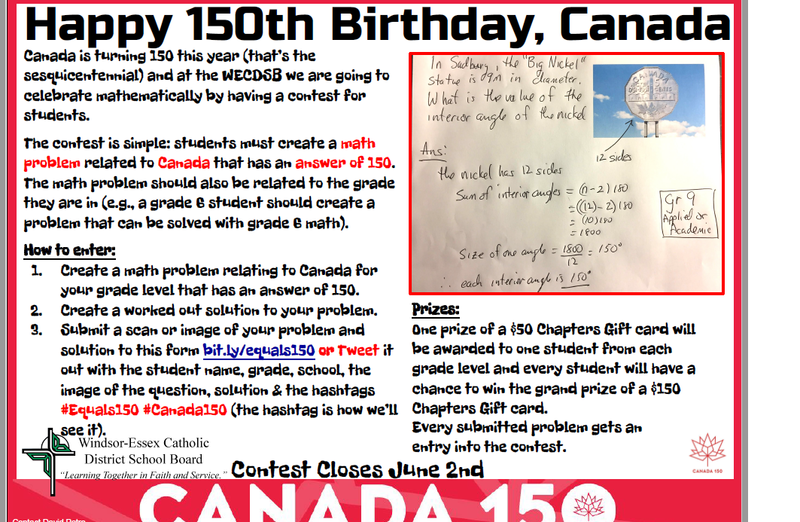 In May students were asked to submit math questions that are related to Canada and have the answer 150. Check out their first task here. 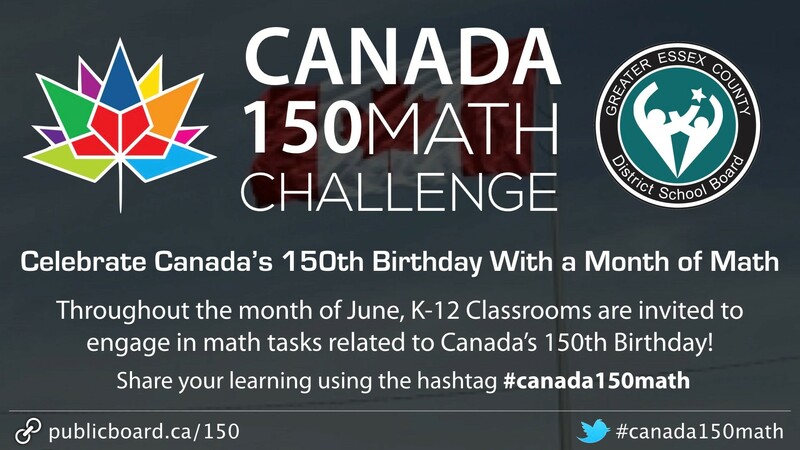 You can join in by following them on Twitter @Canada150Math and using the hashtag #Canada150Math. Click below to learn about recent ML CoP partner meetings. On April 25 and 26, the GECDSB had a two-day meeting with almost 250 members of the math leadership school teams. The Board collected data related to educators’ needs and confidence as math leads, and some very relevant information is emerging. Presently, the GECDSB facilitators are visiting schools and meeting with leadership teams. The Northeastern Ontario Mathematics Leadership Network (MLN) has started a Phase two with a three-day face-to-face meeting in Sudbury. 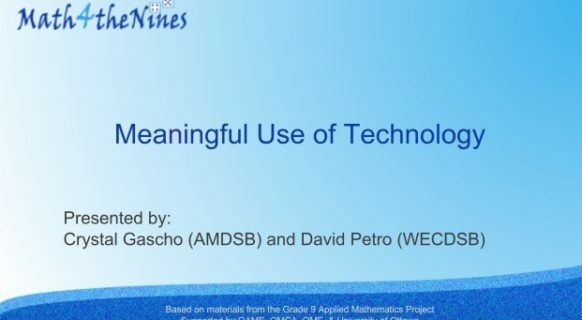 After that meeting the MLN launched “Not A Book Study” using different online technologies to facilitate collaborative learning with Cathy Fosnot (based on her book, Young Mathematicians at Work: Constructing Multiplication and Division). All educators in the Province were invited to participate and they currently have more than 500 people participating! The MLN team is now getting ready for a three-day conference in June. 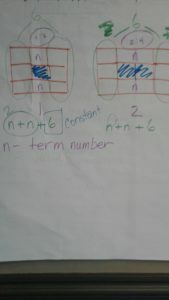 The Mathematics Learning Leadership Network (ML2N) completed their first two-day meeting in Gormley. 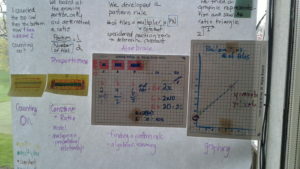 The meeting was intense, addressing the aspects of mathematics learning for leaders. Here are a few photos from the ML2N launch in May. 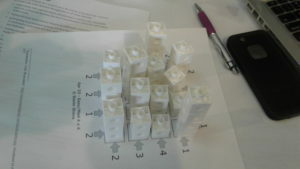 Among else, the educators worked on solving and sharing solutions to the “Daily Skyscrapers” and “Wading Pool” tasks. What are the numbers around the edges? Imagine standing around the edge, these numbers tell you how many skyscrapers you can see. You might be able to see any number from 1 up to the size of the grid. 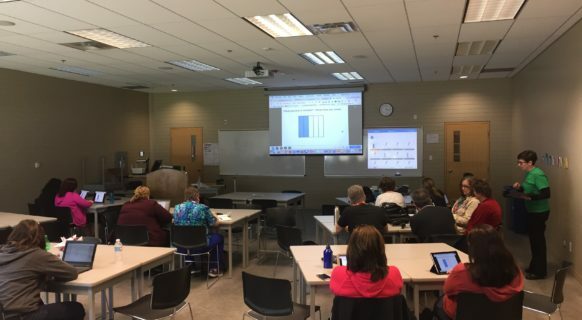 The Northwest Math Leadership and Learning Network (NWML2N) had a meeting in Thunder Bay on the second week of May and is presently developing their web site. On May 15, all three network (MLN, ML2N, and NWML2N) leads met to discuss the results of the efficacy surveys. 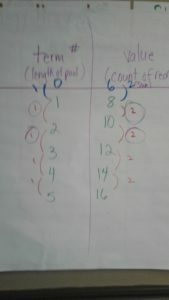 The HWDSB collaborative inquiry team had their first whole day meeting, and began collecting data. On May 15, the HWDSB collaborative inquiry team had their second whole day meeting, and have developed plans for the next school year. The SWOAME held a meeting and started working on some resources for the ML CoP. On May 18th, the ML CoP members had an Adobe Connect meeting with the TVO team. They discussed what TVO can do for the ML CoP in terms of utilizing collaborative work space at TeachOntario, creating a documentary from their work, and creating online resources for sharing through TeachOntario. 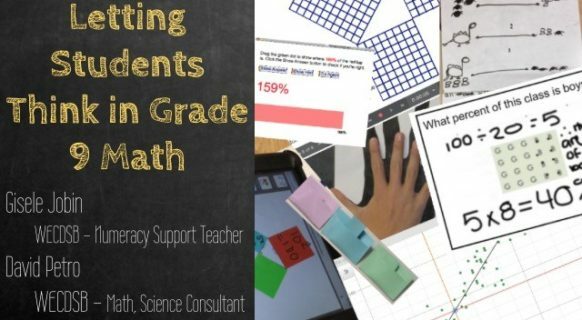 They created a video of their conversations and created a collaborative space for the Mathematics Leadership CoP on TeachOntario. For more information, please visit the Mathematics Leadership CoP page, follow us on Twiter @mknrcm, and sign up for our mailing list (top right side of page) to receive regular updates on our CoPs and more!